WebIOPi can also handle various devices, including sensors. 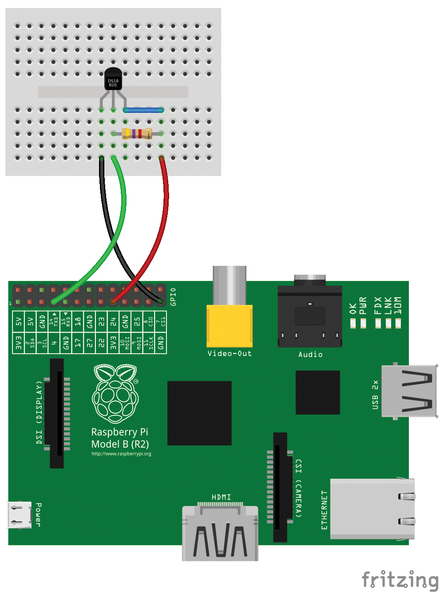 You can use this functionality to turn your Raspberry Pi into a web-based thermometer by connecting a temperature sensor to it and creating a simple WebIOPi app for reading sensor data. For this project, you need a DS18S20 temperature sensor and a 4.7K resistor. Figure 4: Temperature sensor wiring diagram. command and uncomment the #temp2 = DS18B20 line (i.e., remove the # character) in the DEVICES section. Then, restart WebIOPi using the sudo /etc/init.d/webiopi restart command. where 28-000005311dc9 is the sensor's serial number. Next, point your browser to http://raspberrypi:8000/app/devices-monitor, and you should see the current temperature reading. Of course, the default page for monitoring sensors and devices is neither pretty nor particularly functional, so you might want to create your own web app for reading and displaying sensor data. The good news is that you don't have to start from scratch: In a thread on the official WebIOPi forum , you can find a clever web app that reads the temperature and displays it using a Google gauge widget (Figure 5). Listing 3 contains the entire code for you to study and tweak. 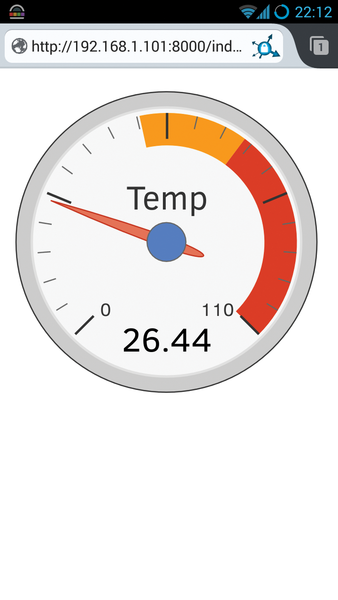 Figure 5: Web-based thermometer interface in action. Restart WebIOPi using the sudo /etc/init.d/webiopi restart command. To make the original example web app in Listing 1 work with the Python macro, you need to replace the GPIO button with the macro button shown in Listing 4. The webiopi().createMacroButton routine, which defines a macro button, has three parameters: id ("macro"), label ("Backup"), and the macro identifier ("RunBackup"). Note that the macro identifier is the name of the function defined in the Python script. Next, load the web app in the browser and hit the Backup button to run the Python script on your Raspberry Pi.